A family tradition… The first cookie to start off the holiday season. To toast- place in a dry frying pan over low heat, stirring often until nice and toasty brown. Watch carefully to avoid burning the seeds. cut until recipe resembles crumbs. ½ cup Milk one tablespoon at a time. Bake 12-15 minutes or until nice and golden brown. 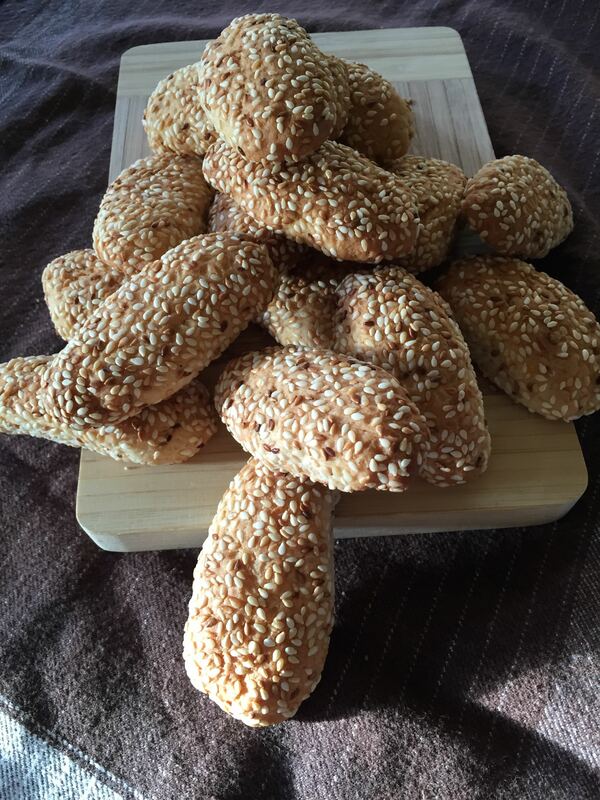 This entry was posted on Thursday, December 4th, 2014 at 9:29 pm	and tagged with holiday cookie, italian biscotti, italian cookies, italian holiday sesame cookies, sesami cookie and posted in Category. You can follow any responses to this entry through the RSS 2.0 feed. Too funny, just pulled Mom’s recipe out of box today.